GOP: we have to wait for the next president to confirm a new justice. Two Saturday Night Live, “The Day Beyonce Turned Black”. “Love recognizes no barriers. It jumps hurdles, leaps fences, penetrates walls to arrive at its destination full of hope.” Maya Angelou. A fascinating article on NPR about why we (definitely I) love the gothic genre. The Shadow of the Wind series by Carlos Ruiz Zafon. The second book in particular, Angel’s Game – is delightfully OTT. 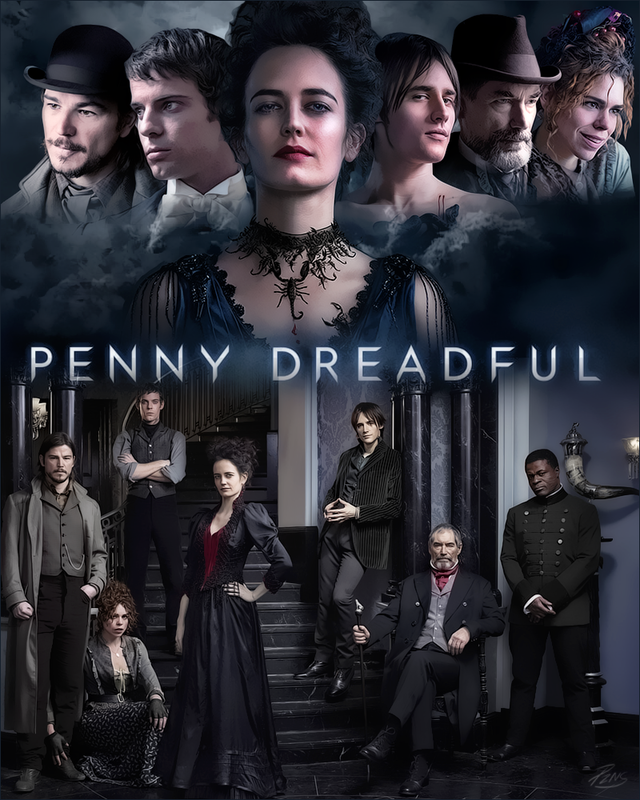 Penny Dreadful – Sky Atlantic’s original series is eminently watchable for the hypnotic Eva Green who really….commits to her part. But I also love how it references and remixes all the classic tales: Frankenstein, Dorian Gray.. all the characters are in there. It’s atmospheric and sometimes ridiculous, but then that’s part of the fun. Another of my favourite actresses, Helen McRory was wisely retained for the second series as the main villain after making a few great cameos in the first series. I want to add Sherlock Holmes – the new books by Anthony Horowitz – or Ripper Street, the excellent TV series that went from BBC to Amazon and is now back on BBC2 again. They’re not quite full-on gothic, though. But maybe half and half makes a whole? Highly recommend Ripper Street at any rate, especially the first series. Not sure if I’m creating a new genre here but The House that Will Not Stand, by Marcus Gardley at the Tricycle Theatre, was a thrilling play set in the American South, during slavery, focusing on a family of Creole women who are reeling from the death of their (illegitimate) white patriarch, and a diverse community coming to terms with laws on slavery and freedom. It was haunting and lyrical, rhythmic and a little creepy. I am going to file that under gothic too. Stop press: There is a new Macgyver in the works (well, it’s news to me) and the show’s creator has confirmed that the lead will definitely be a woman. NPR speculates that it may even be a woman of colour. I love the fact that the moment we’re having in TV at the moment means that a woman of colour fronting the show is a real possibility. Scandal, How to Get Away with Murder, Sleepy Hollow are just a few of the shows paving the way. But it also comes on the crest of a trend of remaking some old favourites with women. Like the all-female Ghostbusters that’s coming out soon. I have just one heartfelt prayer*: let them be good. It’s one thing to have a woman front and centre, but the key is always good writing and believable characters, otherwise it’s an easy slide into arguments on tokenism. Representation matters; make it good. *I have another prayer: Gina Torres (Firefy, Suits) for Wonder Woman! Tonight I visited Hampstead Theatre for the first time, to see Wildefire by Roy Williams. The last play of his I saw was Sucker Punch at the Royal Court, which was far better. However, Wildefire, which looked at the how an enthusiastic new recruit to the Met became cynical and broken, had its striking moments. It was 90 minutes without an interval, which kept the tension building. The cast was strong. My favourite scenes were group ones set on council estates – which were often menacing, but very well choreographed. The final scene is truly breathtaking – the whole cast on stage, witnessing and reacting to the main character’s breakdown. It’s a scene full of drama and so physical that it’s almost like a dance. Williams doesn’t really weave scenes together so much as juxtapose them, like a film. I am not sure I like that aspect of his style, but having seen about four of his plays, that’s one of his trademarks. 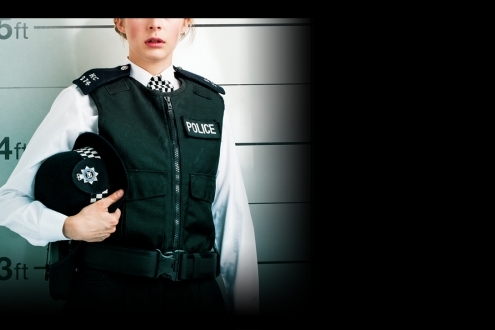 I am not an expert, but I thought it did a good job of showing the challenges and frustrations of policing in modern-day Britian, and the people behind the uniforms. *like, really, just for me. To go by myself. One The new play by Roy Williams, one of my favourite playwrights, called Kingston 14. It’s at one of my favourite London theatres, Theatre Royal Stratford East. Two Hopelessly Devoted at the Tricycle. I’m not familiar with the playwright, but it’s about women, love, prison and music. I’ll give it a whirl. Three In May, the Hot 8 Brass Band are in London. Here they are playing Steamin’ Blues. We appear to be having something of a moment in terms of talking and thinking about Black history and participation in British life. One. This interview with Kwame Kwei Armah, now Artistic Director at Baltimore’s Center Stage. Two. More on the UCL project on slavery – reports on the payouts given to British slaveowners after prohibition. Three. A reposted article from 2012, on the Black British Tudors missing from history. Four. Lenny Henry’s blog on access to the film and TV industry by ethnic minorities. I was also amused to read today that Michael Gove has a poster of Malcolm X and Martin Luther King on his wall – despite the fact that the Civil Rights struggle in the UK is overlooked in the curriculum and one of his early changes was to try to downgrade Mary Seacole in the curriculum. History matters because it informs the present. Britain has long been diverse, though many try to portray this as a New Labour project that began in 2007. One thing I’ve learnt from listening to Acts of Union and Disunion on Radio 4 is how these islands have always been in flux. History is important because we can’t tackle structural racism and other issues without understanding how they came about. But just as importantly,the story of Black people in the UK needs to be more fully told because it’s Britain’s story too. The year is young, but there are already a few things I think I’ll be following or seeing this year. Apart from 12 Years a Slave, I’ll be looking forward to watching Belle, the story of Dido Elizabeth Bell, the mixed-race daughter of a slave who was raised by her uncle the Earl of Mansfield, who was then Lord Chief Justice of England and Wales and who made a landmark ruling that paved the way for the abolition of slavery. I’ll also be following the blog of UCL’s project into the British legacy of slavery, which taps a rich seam of history that we don’t often look into in this country. I usually despair of the lack of plays that I want to see in January, then find myself whisked away by a spoil of theatre across the city from February onwards. 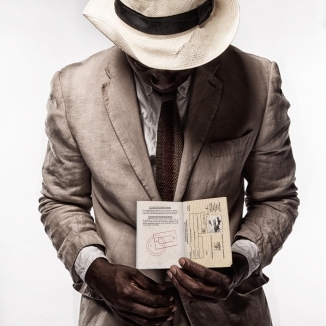 It’s 1972 in Port Elizabeth, South Africa and Sizwe Banzi’s passbook gives him just three days to find work. No work and he’ll be deported. That was four days ago. So when Sizwe stumbles across a dead body with a passbook, he asks himself – does his identity card really define who he is? Could he give up his family and his name in order to survive? I had the pleasure of catching Crowning Glory, the debut play by actress Somalia Seaton, the day before it ended at Theatre Royal Stratford East. TRSE is one of my favourite theatres in London, particularly for unexpected, edifying plays, and Crowning Glory didn’t disappoint. I was struck by the set when I first walked in – it was jagged and at an angle, with a couple of movable screens which were later used for projections of video. It felt pared back and minimalist, which really suited the content. The dialogue was poetic – a series of monologues blending performance art, poetry and dance to uncover the complicated relationship between black women and their hair. There were all sorts of perspectives – tomboys, mixed race women, women wearing weaves, one who cut her hair off, the Black Panther – the list goes on. There were also memories of growing up in African and Caribbean households and a humorous but searing take on the relationship between generations of black women, their daughters and their hair. What struck me about this multifaceted play was that there was something for everyone to identify with, regardless of where you find yourself on the spectrum of natural-relaxed-weave-braided hair. The play threw down a challenge to the European paradigm of beauty and urged Black Women to see that they are beautiful too – and this is important for us to remember because our little girls need to hear the message too. And the message was this: You are enough.